The Housing Authority of the City of Santa Barbara is accepting applications for the Housing Choice Voucher (Section 8) waiting list from October 1st, 2018 until October 31st through 11:59PM. To apply, visit the official application page here during the application period and complete the online application. Paper copies of the application will not be accepted, the only way to apply is online. If you do not have a computer, you may complete your application by visiting your local library. Those who apply will be selected for placement on this Section 8 waitlist by date/time their application was received by the Housing Authority of the City of Santa Barbara, after sorting for preferences (Non-Elderly Disabled, Veterans, Live/work or attend school locally). For more information, please visit their official site or give them a call at the number provided. We dedicate ourselves to being more than just housing. We work to match the programs we operate and the housing we build, with the identified needs of the community. Through initiatives, programs, and strong partnerships in the community, we help working individuals and families live where they work, enabling them to enjoy a thriving Santa Barbara economy and community. Our work respects the human spirit, builds on basic American values, helps our neighbors, seeks to end homelessness and improves our community&apos;s public and social health. Along with our primary mission to serve “lower income” families, we also create programs designed to include income earners who are not strictly at the very lowest end of the income bracket. Our below market, fixed-rent properties are located in neighborhoods throughout the city and are often the most attractive housing on the block. For our clients, the opportunity to have a safe, secure and affordable home is the needed foundation for pursuing life&apos;s other activities that bring success and happiness: things like education, career advancement, sending a child to college, or simply being healthy and warm with a safe place to call home. Without the foundation and security of a home, such goals are elusive and the path to self-sufficiency is difficult, if not impossible to find. The Housing Authority of the City of Santa Barbara is a local public agency created under state law for the purpose of providing safe, decent, and quality affordable housing and supportive services to eligible persons with limited incomes, through a variety of federal, state, local and private resources. 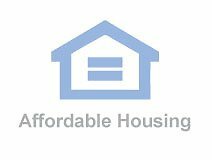 Housing Authority of the City of Santa Barbara is a public housing agency that helps provide decent and safe rental housing for eligible low-income families, the elderly, and persons with disabilities. Housing Authority of the City of Santa Barbara manages several funded programs and has a total of 316 subsidized affordable housing units for rental assistance. Housing Authority of the City of Santa Barbara administered a total of 2,366 Section 8 Vouchers. Housing Authority of the City of Santa Barbara currently has low rent units and Section 8 Voucher as its program type. Housing Authority of the City of Santa Barbara is located at 808 Laguna Street, Santa Barbara, CA, 93101 and serves the city of Santa Barbara. Income limits, fair market rents and rent rates vary with each agency. Please contact Housing Authority of the City of Santa Barbara at, (805) 965-1071 for more information about coverage area and program availability.